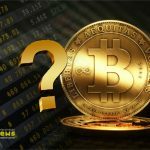 Chainalysis has revealed the preliminary report on cryptocurrency transactions associated with criminal activities. The key conclusion is that some certain advances in the fight against underground marketplaces do not influence much the bigger picture. 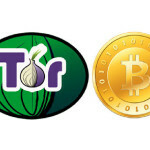 The peak year of cryptocurrency transactions carried out on the darknet was 2017. About $707 million were transferred to the well-known websites involved in sale of restricted products. The closer of the largest dark player, AlphaBay, in mid-2017 hasn’t seriously affected the black market. According to Chainalysis, it caused 60% decrease in the black market turnover, but new websites quickly stepped in to fill the vacuum. Chainalysis claims that the majority of AlphaBay customers moved to a new popular dark website with the turnover four times exceeding the peak figures of the preceding marketplace. This report reflects a fundamental problem: when one dark platform is closed, people just move to another. In general, law enforcement agencies have mastered the tactics of dealing with underground platforms that sell illegal products. They have even achieved some certain success as in case of AlphaBay. But in terms of strategy, things are much worse - customers see the closure of the platform as a necessary evil. 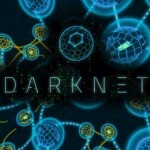 Moreover, according to Chainalysis, some data witness the increase in the activity on the darknet following the closure of large dark web sites. Another conclusion is that the use of cryptocurrency for darknet payments goes much beyond the exchange rate fluctuations. 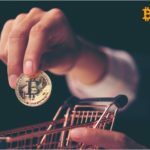 The volume of Bitcoin payments associated with the illegal products turnover increase steadily, irrespective of the rate behavior. According to the report, the development of the darknet and the the crypto market was differently directed in 2018. To recap, the FBI report released in June 2018 shows that cryptocurrencies are most often associated with drug trafficking, human trafficking, as well as kidnapping and other ransom-related crimes. One of the most sensitive issues is drug trafficking, which has been smoothly moving to the Internet. The online drug dealing share equals already to 10% of the global trade. Whereas, the US Drug Enforcement Administration (DEA) believes that if several years ago the share of the Bitcoin drug deals was about 90% of the total trading volume, now it does not exceed even a tenth of deals. The decrease in the share of illicit product deals is also confirmed by the Chainalysis report (see pic. above). © 2018 bit.news | queries 232, for 0.172 sec.